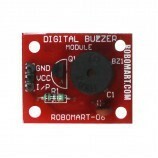 The Digital Buzzer Module V1.0 is the simplest sound making module that you can use High/Low to drive it. Just change the frequency it buzzes, you can hear different sound. 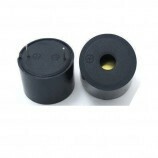 It is widely used on your daily appliances, Like PC, Fridge, rotor, Phones and so on. 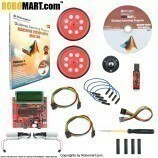 You also can create many interesting interactive project with this small but useful module. Be able to control the buzzer sounds or MID music. Be able to achieve the control of an interactive sound and light works. Pin Definitions: (1) Output (2) VCC (3) GND. 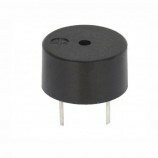 It is widely used on your daily appliances, Like PC, Fridge, rotor, Phones and so on. 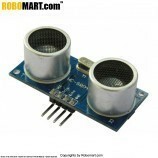 It is used in 8051/AVR/ARM/PIC/Arduino/Raspberry-pi projects. 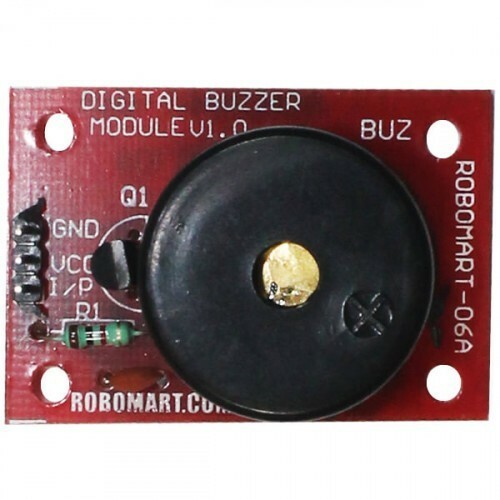 Also Searched as:buzzer pdf, how buzzer works, buzzer sound, piezo buzzer, buzzer arduino, buzzer beater, electronic buzzer, buzzer beat.